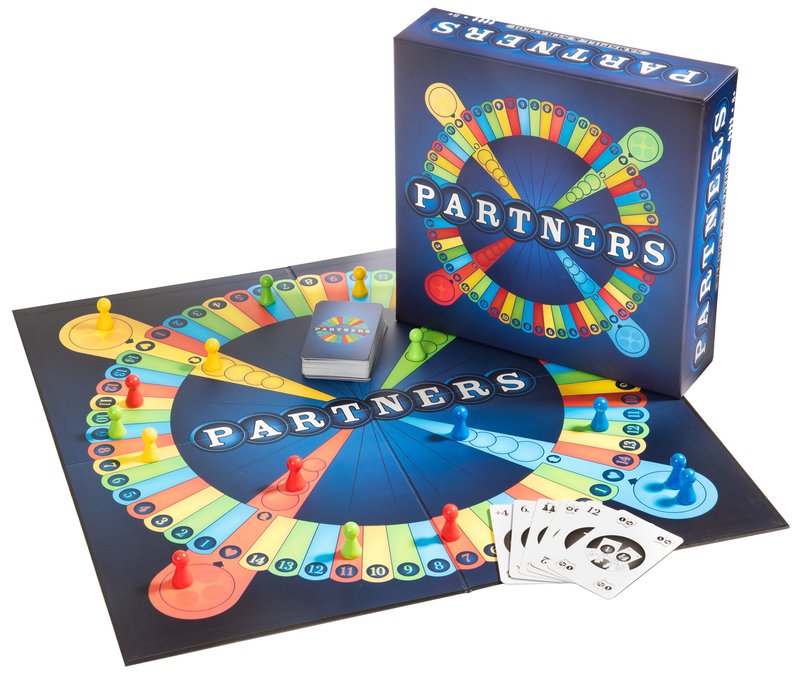 PARTNERS is a tactical board game played 2 against 2. Although a quite boring comparison the game is most easily described as a reinterpretation of the game Parcheesi. 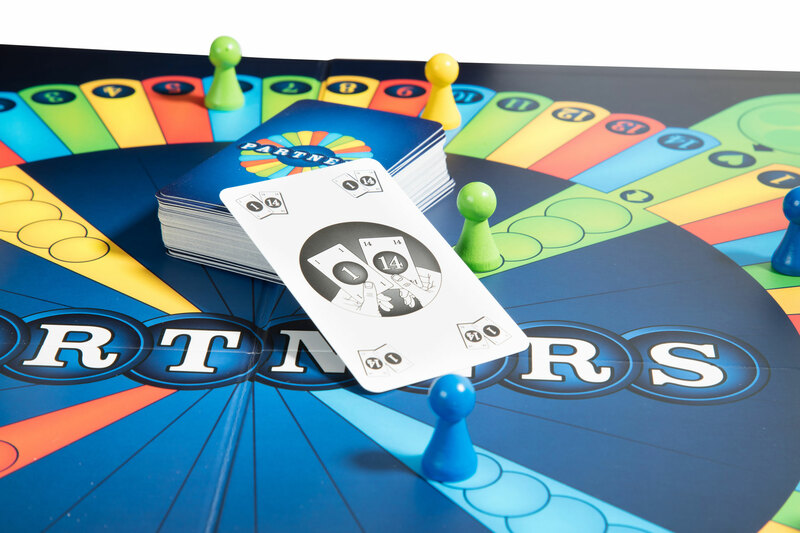 The game is played with cards and is all about being the team of partners who are first to get all their movers into the goal zone. The game was released in Denmark in 1998 and has enjoyed great popularity. It has sold over 400.000 copies making it one of the best sold board games of all times in Denmark.